There’s a delicate balance between making sure your body gets the fuel it needs and eating too much. Especially if you’ve started a new eating or fitness plan, you might find that you’re hungrier than usual. It seems counterintuitive to turn to food to help control your appetite, but there are a number of healthy, natural ways to stave off hunger by choosing your food wisely. Choose high-protein foods that will keep you satisfied for longer. Protein also gives your metabolism a boost as it keeps your appetite in check. In fact, a study from the University of Washington School of Medicine found that women who increased their protein intake to 30 percent of their daily calories consumed 441 fewer calories each day. They also lost 11 pounds in 12 weeks. Another study from the University of Missouri Department of Nutrition and Exercise Physiology found that when protein made up 25 percent of obese men’s daily calories, they felt fuller. They also wanted to snack at night 50 percent less often. Plus, they experienced an incredible 60 percent reduction in obsessive thoughts about food during the day. Choose a few different options below to keep your hunger at bay. Organic chicken breast, sustainably fished mahi-mahi, 90-percent or leaner grass-fed ground beef, and organic pork tenderloin are good options. Eggs not only give you a boost of protein (6 to 7 grams each) but also of healthy fats. One egg contains about 5 grams of fat in its yolk — which you should be eating to get the full benefit of this food — and only 1.5 grams are saturated fat. Legumes are a great source of plant-based protein. Add some black beans, lentils, kidney beans, chickpeas, and even pea milk to your diet to increase your protein intake. Beans also contain quality fiber, which can also help control your appetite. If you eat soy foods, look for tempeh, miso, and tofu for yet another way to eat plant-derived sources of healthy protein. Almonds, walnuts, pistachios, and cashews offer heart-healthy and brain-healthy fats. For seeds, try adding pumpkin, chia, sunflower, or sesame seeds to salads and nut mixes. Try a couple of tablespoons of nut butter with fruit to add some variety to your snacks. This combination will also help you get some appetite-suppressing fiber in as well. Unsweetened shaved coconut, coconut oil, and some coconut milk varieties give your body a boost of healthy fats. Just watch out for added sugar in your coconut products. Avocados contain monounsaturated and polyunsaturated fats that can help reduce your cholesterol levels and control your appetite all at once. Peel the avocado by hand to ensure you’re eating the antioxidant-rich parts of the green flesh located along the peel. One cup of black olives delivers a whopping 15 grams of mostly monounsaturated fat. Choose olives that are low in sodium. Stick to five large or 10 small olives per serving. Olive oil is another great food to eat to make sure you’re getting enough fat in your diet to stay full — one tablespoon contains 14 grams of healthy fat. Just be sure you’re getting the real thing when you select your olive oil. One cup of ground flaxseed contains 48 grams of healthy, unsaturated fat. So, if you bake at home, explore recipes that call for this powerhouse ingredient. You can also add one to two tablespoons to your yogurt or smoothie for additional healthy omega-3 fatty acids. If you want to check some protein and fat off your to-eat list, try some wild-caught salmon. There are about 27 grams of healthy fat and 40 grams of protein in half a filet. Not all carbohydrates are bad. Fiber doesn’t break down like other nutrients, and it stays in the body longer, slowing down digestion. Choose some of the following to add variety and fiber to your snacks and meals. Gluten-free whole grains including amaranth, buckwheat, rice, quinoa, millet, sorghum, and teff give ample fiber per serving and don’t contain inflammation-causing gluten. If you can find gluten-free oats, add those as well; most oats are contaminated with gluten in the mill. Some fruits provide enough fiber that they offset their sugar content and make them good at suppressing your appetite. Grab an apple (with the peel), banana, some strawberries, or an orange for 3 to 4 grams of fiber. Raspberries contain 8 grams of fiber per cup, and exotic fruits like mango and guava are delicious ways to add 5 grams and 9 grams of fiber per cup to your day, respectively. A good rule of thumb is, the darker the vegetable, the higher its fiber content. Broccoli, carrots, and beets are great choices, but artichokes are among the most fiber-rich vegetables with 10 grams of fiber for a medium-sized one. Finally, make sure you keep hydrated. A study from the United Kingdom found that subjects who drank a glass of water immediately before sitting down to eat a meal consumed fewer calories than those who did not. Other studies have found that increasing water intake keeps you feeling satisfied between meals. By adding protein-rich, healthy fat, high fiber foods and plenty of water to your diet, you can stay fuller for longer, without making large changes to your lifestyle. 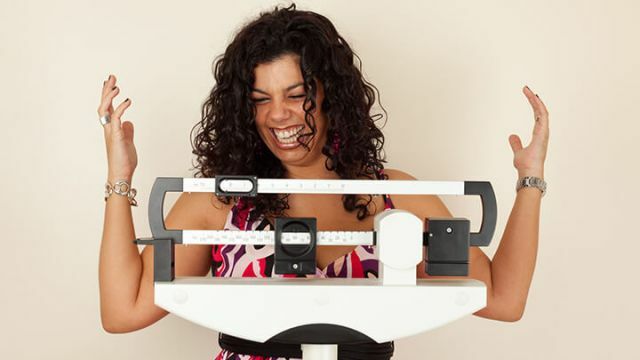 You may find that these easy changes make you feel better and even help you lose weight. Hey Buddy!, I found this information for you: "These 3 Food Groups Can Control Your Appetite Naturally". Here is the website link: https://www.thealternativedaily.com/try-these-3-food-groups-to-control-your-appetite-naturally/. Thank you.